HTC has opened pre-orders for a $220 device which will convert existing Vive VR headsets to wireless devices, freeing them from the tethers which previously connected them the their host PC. With trailing wires removed, the Vive becomes a much more convincing and immersive device, eliminating the risk of tripping and potentially allowing the headset to be used in a different room to the base PC, although the operating range is not yet known. 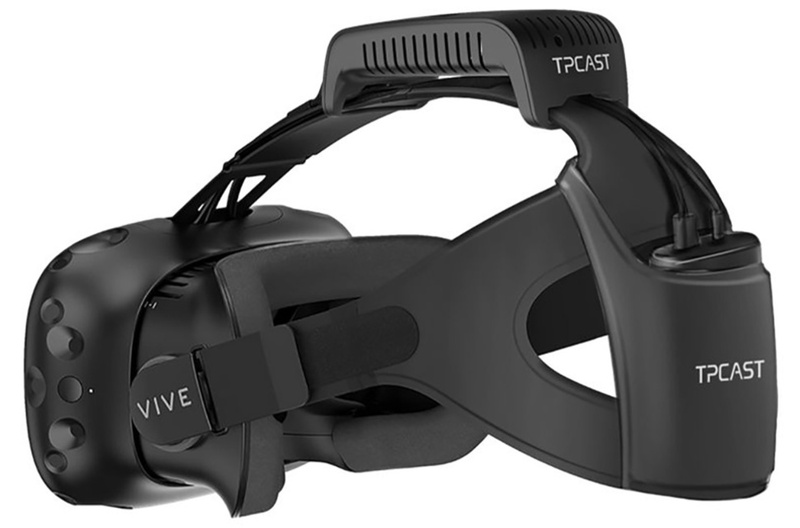 The kit is being produced by TPCAST, one of a number of early sign ups to the HTC Vive X Accelerator program. The battery powered device will initially provide 90 minutes of use from a single charge, with the battery fitting into a pocket. Larger, longer lasting batteries are expected relatively soon after launch. Reporting the news from the Alibaba 11/11 shopping exhibition in China yesterday, UploadVR posted an exclusive video of Alvin W. Graylin, China's regional president of Vive at HTC trying out the new kit. Pre-orders will initially only be available via HTC's Chinese website, starting at 7am Pacific time on Friday November 12, priced at 1,499 RMB ($220.33) and only in limited numbers. Plans to roll out to other territories have yet to be confirmed, but Valve and HTC have been contacted for comment. Allegedly it adds 15ms of latency in its own, which sounds about right for a fast wireless connection. Considering the crucial factor of framerate with motion sickness in many people, I wouldn't play anything "fast", as it's only leaving about 5ms for processing. Wireless VR really needs to be self contained. I can definitely see a "cloud" based future where a unit is assisted by a base console that handles less time critical computations however.